Spelling – the adversary of so many. 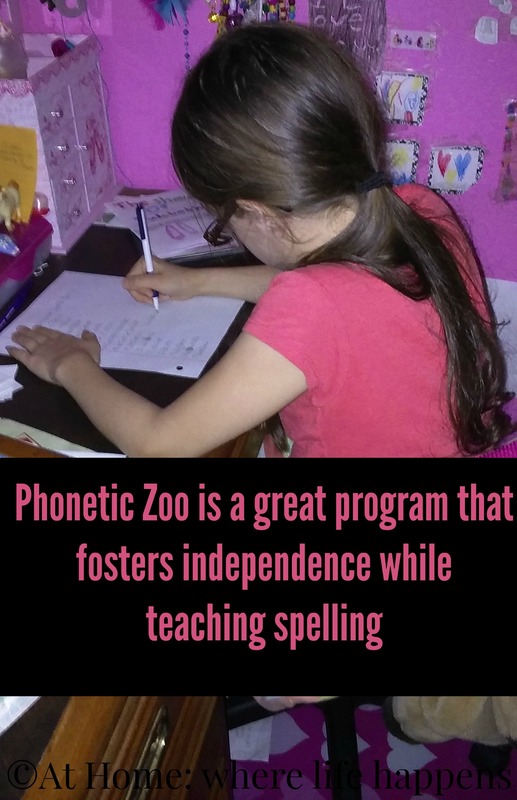 It is a struggle I don’t have but am thankful for products like Phonetic Zoo by Institute for Excellence in Writing to help out. I was not too sure about how this would work but we have been rather pleasantly surprised. We received Phonetic Zoo Spelling Level B [Starter Set] and it has turned out to be a joy. The very first thing I did once we received our review package was listen to the talk that Andrew Pudewa gives on Spelling and the Brain. I highly recommend this talk for everyone and it is available as an individual item to purchase. Mr. Pudewa’s understanding of spelling struggles make so much sense. Thinking through the difference between audio input and visual input, I could see the issues so many have and why spelling can be problematic. I could also suddenly see why this program could be the answer for many to an ongoing struggle. Then I read the Phonetic Zoo Teacher’s Notes. These were helpful and gave me some great information to start the girls out with. A lot of understanding came because of reading this file. 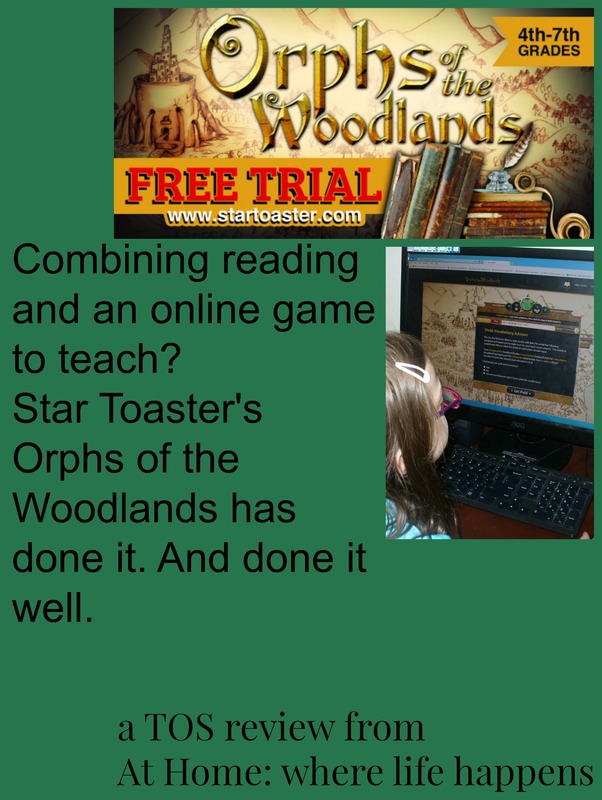 It contains information for each lesson, additional spelling words if needed, and some printable files. We have not yet used any of the printable files, or “cages,” that help organize the small zoo cards into categories. Both of the older girls tested into the program at Level B. Before ordering, there is a placement test on the website to help you correctly place your student. Each day of our regular work days, the two older giggly girls work through a lesson from Phonetic Zoo. A lesson is titled such because it is a series of words that the student must master the spelling on before moving to the next lesson; it does not designate any set period of time, such as a day or a week. At the beginning of each new lesson, I go over the jingle and phonetic rule with whichever girl it is for using the big Lesson Card. We look over the list of words for that lesson and I give them the small Zoo Card. It gets hung up outside the hall bathroom where it will be seen often and then she goes to her room to do the lesson. They take a piece of notebook paper that is labeled with their name, the date, the lesson number, and the number of times this lesson has been attempted. They use a pen (Mr. Pudewa discuss the purpose of using pen on the IWE site.) and the CD with headphones on. They write down the words from the list as they are given on the CD. Then, still using the CD, they correct their own list of words. They bring their page to me and we look at their correct and incorrect words. We mark the page with 13/15 or 100% or some variation of the number correct. And that child is done for the day. The same lesson is repeated the next day until 15/15 is achieved two times in a row. When they get that, they move on to the next lesson. We chose not to use earphones for this giggly girl because her CD player does not have a headphone jack and it is also a sensory issue. We put her CD player very close to her work surface instead (less than 12″ from her). This takes 10 – 15 minutes. Tops. And the girls are enjoying it. I rarely have to convince them to do their spelling work. And we are seeing progress in understanding. I don’t necessarily see a major change in their day to day writing yet, but both of the girls were pretty good spellers and many of the words they are working on are somewhat above their daily vocabulary. What I do see is a pride in progress each time a lesson is worked on and growth in understanding of the principle/jingle. This is huge because these are not “easy, get it right the first time” lists. L is working on her current list and is at about the 15th or 16th time on it. She is now up to 14/15 each time and it is a different word tripping her up each time. She will get it, though, and she is not discouraged. She will know those words inside and out when gets that 100% two times in a row and moves on to the next lesson. We have also experienced a fun little side bonus. 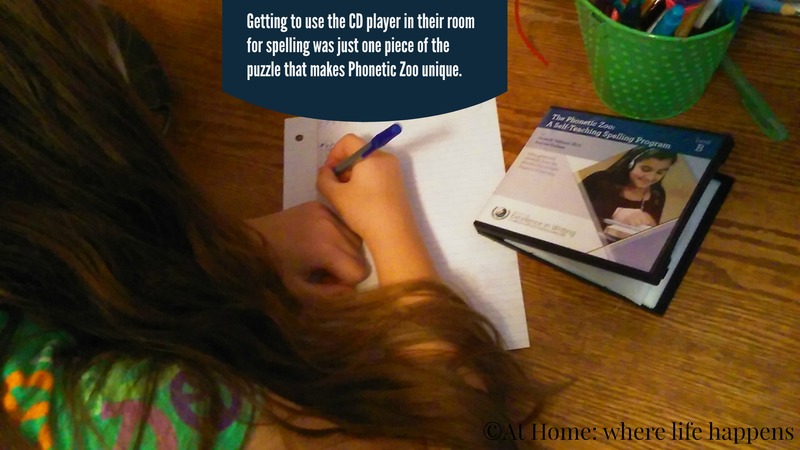 Our 6 year old giggly girl has decided that she wants to be a part of Phonetic Zoo, as well. She sees the small zoo cards on the wall daily and stops to read all of the jingles. She can quote, without a mistake, the first three lesson jingles. We just put up number four the other day so that one won’t be long, I imagine. We are already hearing her apply these jingles. The other day when she was writing the word “play,” she quoted the line of the lesson one jingle that was about the a-y spelling of the sound. I can’t wait until she is ready for the first level of Phonics Zoo. 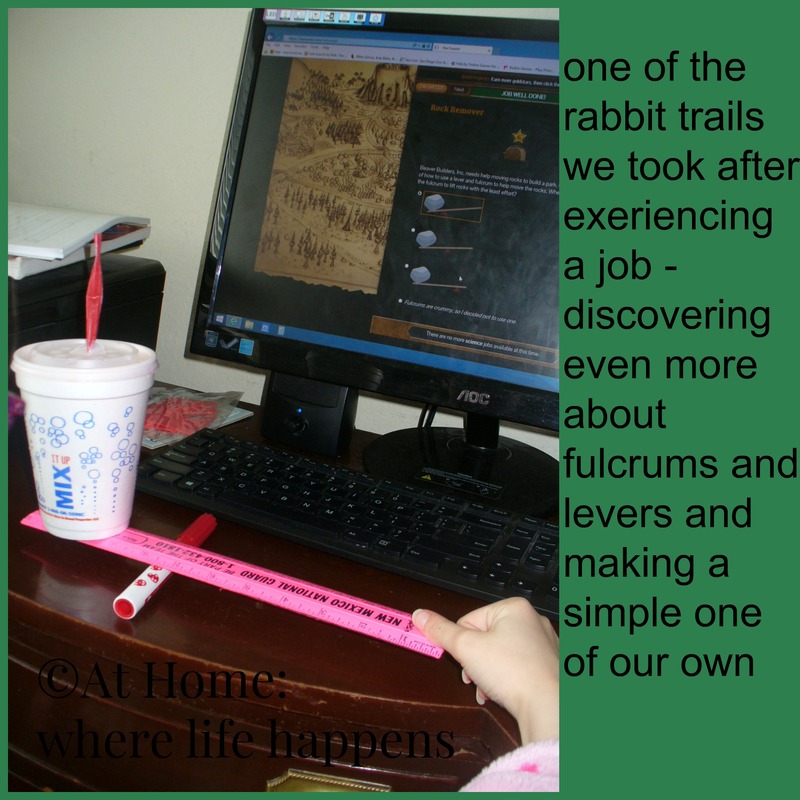 This is a program that is not just for homeschool students. This process and information will be of use and encouragement to all educators. Visit Institute for Excellence in Writing and check out Phonetic Zoo. Teaching with Games Set, and A Word Write Now from the Review Crew. Words fascinate me. E has always been fascinated with words as well. Since she could talk, she has always played with words, creating new ones, putting sounds together differently, seeing what all she could do with words. 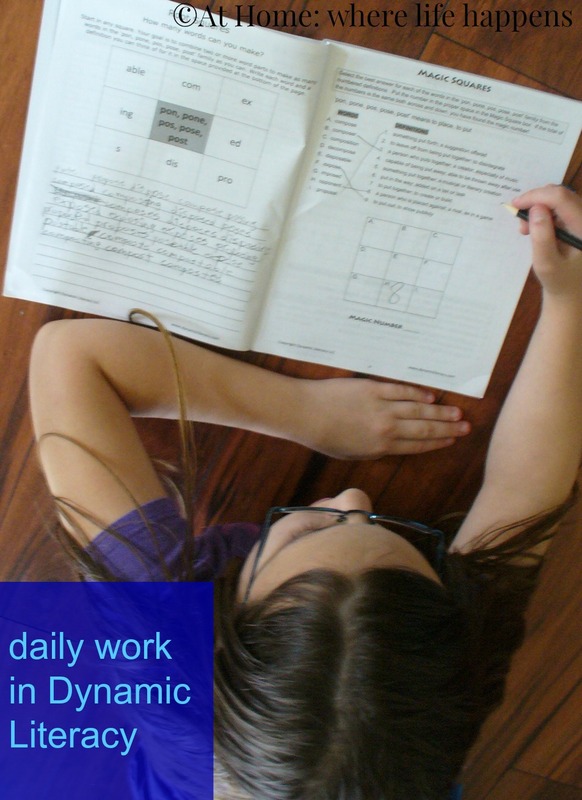 So getting the opportunity to review Dynamic Literacy, a program that focuses on the HOW of putting words together, was right up our alley. WordBuild The Game disc for the computer. The concept behind Dynamic Literacy is amazingly simple. This concept drives the curriculum and the activities. This concept thrives on the exponential learning capacity of knowing and understanding each of the parts. Learning and knowing each of the pieces of the word, the morphemes, helps you decipher the meaning, thus making it possible for you to decipher words you have never seen or heard. There are 25 roots covered in Elements Level 1. There is a prefix and suffix appendix to help students who may need to learn or review these affixes prior to starting with the root word studies. The program has a five day approach, with the activity for each of those days staying the same. The root changes each rotation. There is also a “word wall” for each root. It is suggested that the student write down each new word with that root that they come across as they work the activities during the week. It is suggested that only 15 minutes a day is needed for these activities, which are geared towards 6th – 10th grades (or perhaps 7th-12th for remediation). You will find the activities to be completed in the student workbook. 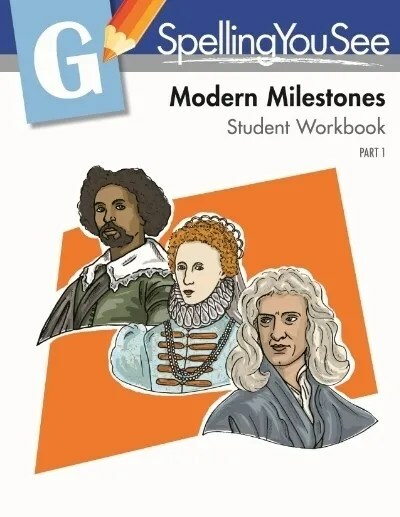 The teacher’s guide has copies of the activities, the answers, and various teaching suggestions. 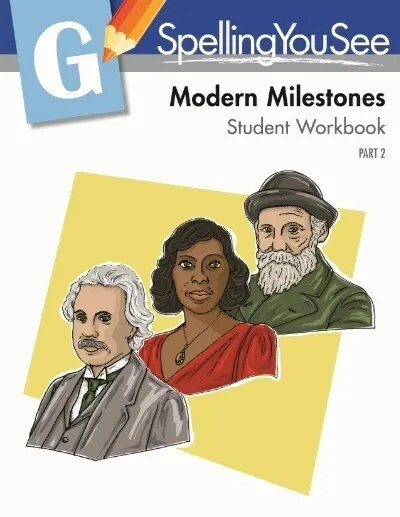 If you are a classroom teacher, the teacher’s guide also has teaching objectives for each activities, along with differentiated instruction helps and cross-curricular examples. When we began Dynamic Literacy, we stepped back and did each of the lessons on the prefixes and suffixes that were needed before beginning the root word studies, as is suggested if you haven’t completed the Foundations levels. We felt like that would give us the best start. I am glad we did because the definition used for some of the affixes was just enough different from my understanding or E’s understanding of it that we struggled with some of the activities and definitions. I had to pull out the answers for things more than once, and not just for grading. 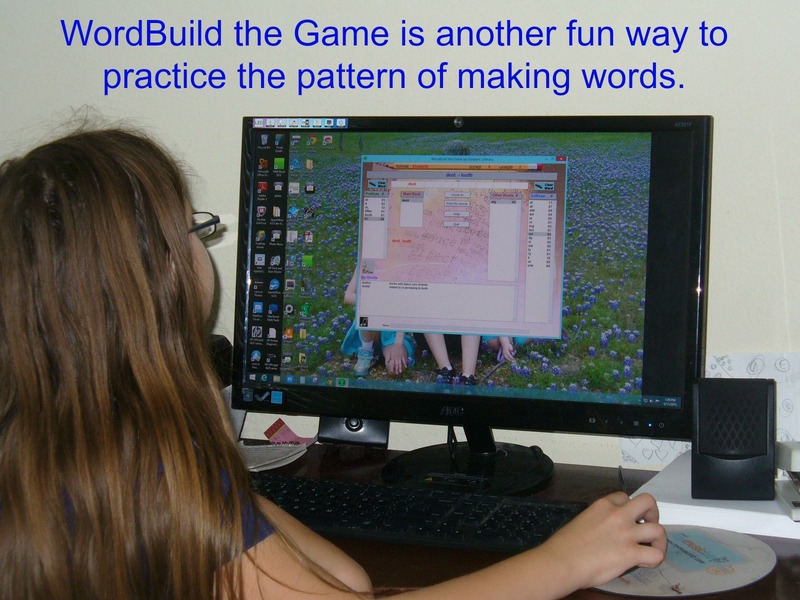 E and I enjoyed the activities in WordBuild and it was fun working together. We will set this aside for the summer but when we jump back in with a full load in the fall, I think this will be in E’s box. 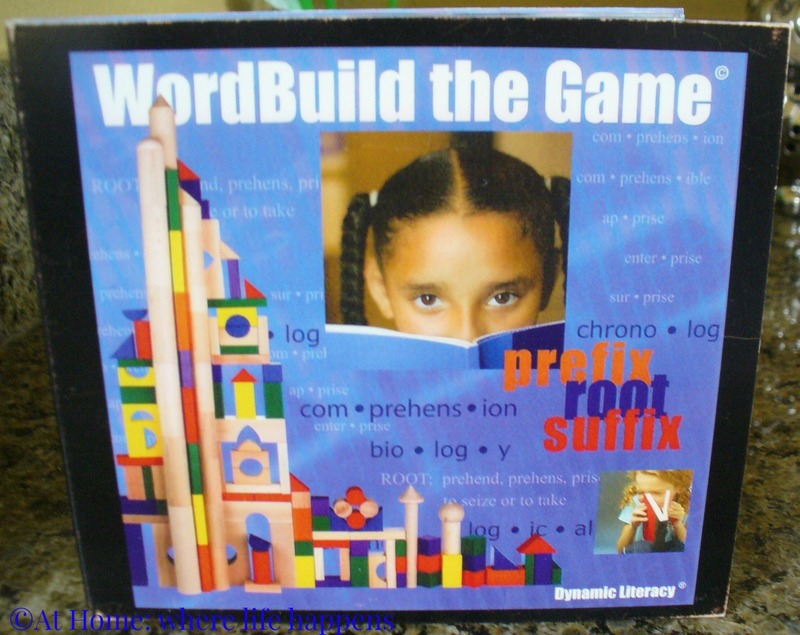 WordBuild the Game focuses on the same concept as the workbooks: prefix + root + suffix = word. 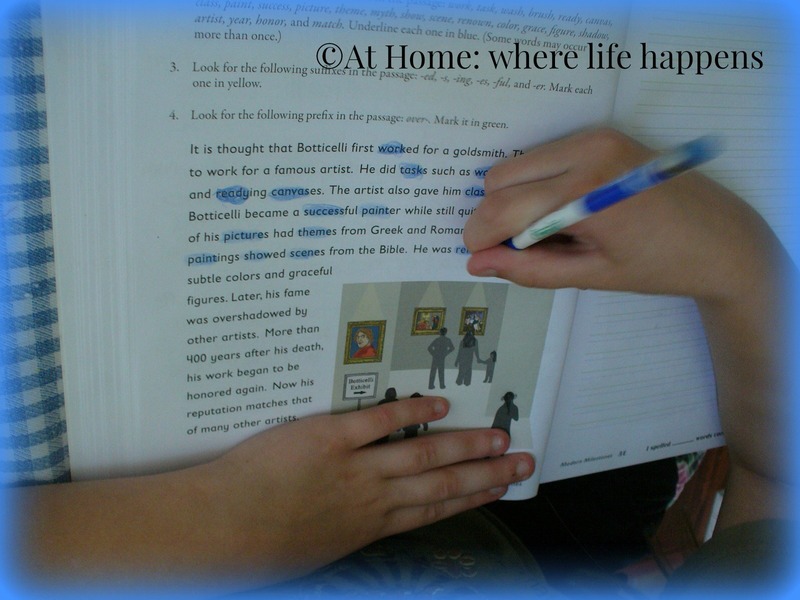 It is an interactive program where the student places the morphemes together to try to make as many words as possible. It can be timed or not. If the student puts together pieces that don’t make a word, the program gently tells them that the word is not in the dictionary. You will need to check the Dynamic Literacy website to see the system requirements for this program. The game was not terribly intuitive but once I got the hang of it, I was able to teach the girls pretty easily what to do. E had tried to figure it out by herself but couldn’t. We had both E, age 11, and L, age 9, working with the game. It wasn’t a hit but they enjoyed it well enough that there were no complaints about using it. I think this is a unique approach to learning vocabulary and how to approach words that makes sense. It is how I have always thought about words so I felt right at home with this curriculum. E enjoyed the variation in activity from day to day, even though the weekly pattern was in place. Her absolute favorite activity was Magic Squares. She looked forward to it each week so much that she would ask to double up the day’s work if it meant she could do Magic Squares. 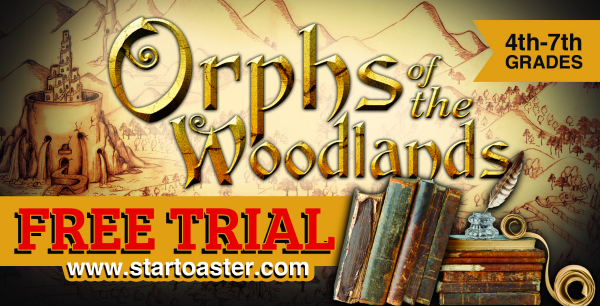 There is also an online version of WordBuild that I am excited to read the Crew Reviews about. All in all – a hit. 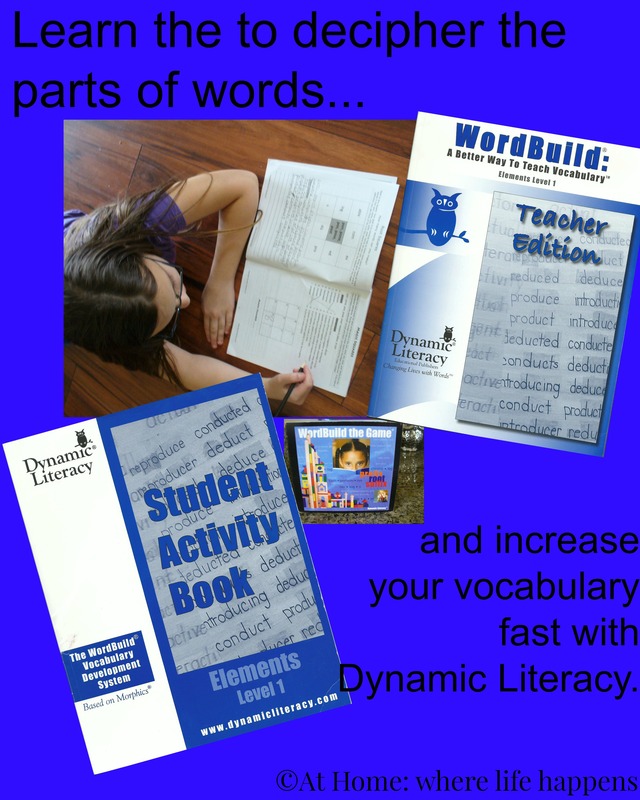 If you are interested, Dynamic Literacy is offering a discount for my readers. 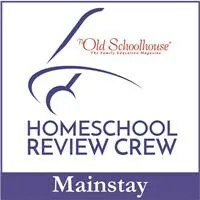 Use the code athome for 25% off the books at www.dynamichomeschool.com or for 10% off at www.wordbuildonline.com. 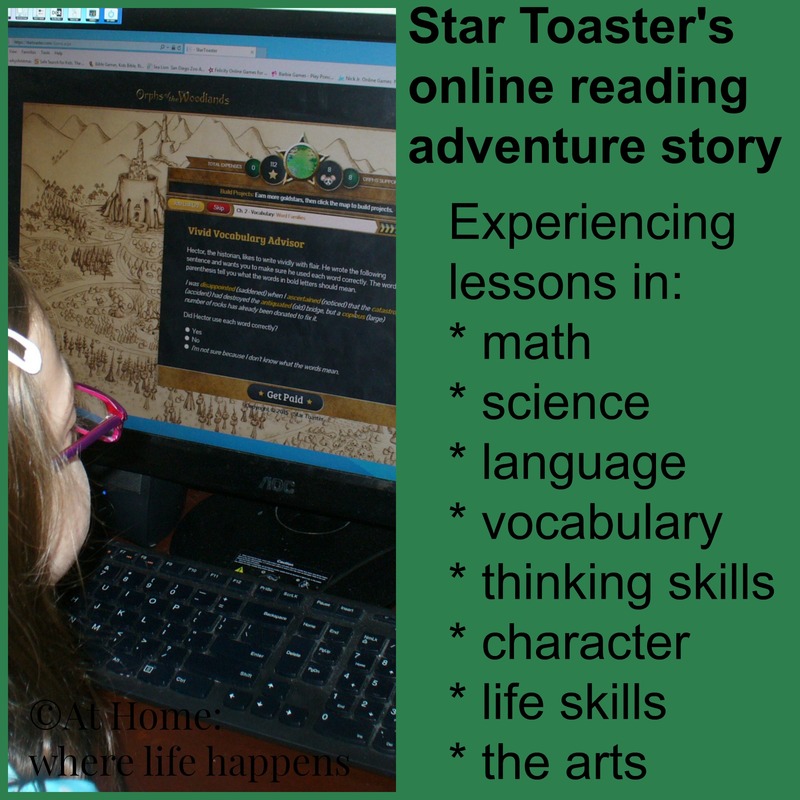 To read more Crew Reviews on Elements Level 1, Foundations Level 1, and WordBuildOnLine, click the banner below. What do you do when spelling is comes fairly natural for your child but you see enough issues that they need to practice those? Other than read a lot, there isn’t much out there to help with those irregular spellings and spelling changes for adding suffixes and prefixes. 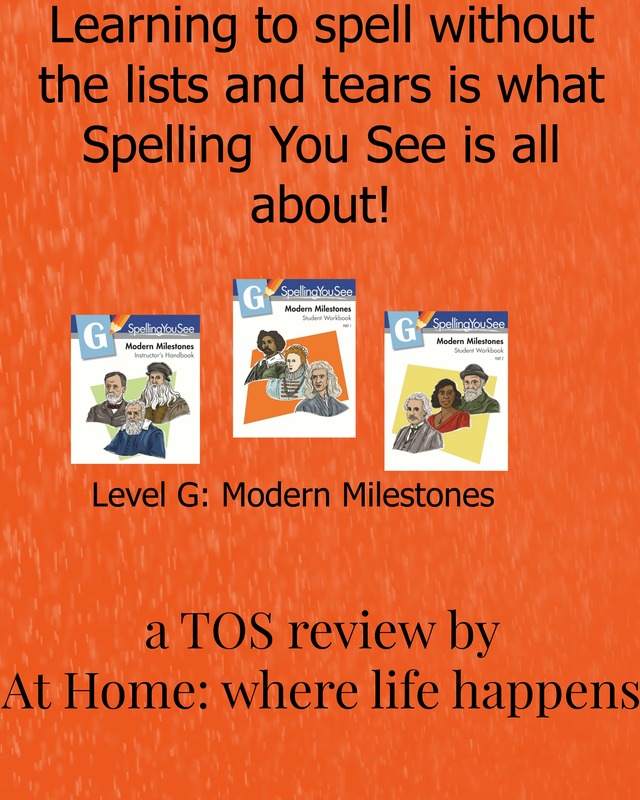 We were given the opportunity to review Spelling You See’s newest level. Spelling You See introduced a level that works on those suffixes and prefixes in a natural exposure setting and context. We were asked to review Spelling You See Level G: Modern Milestones. 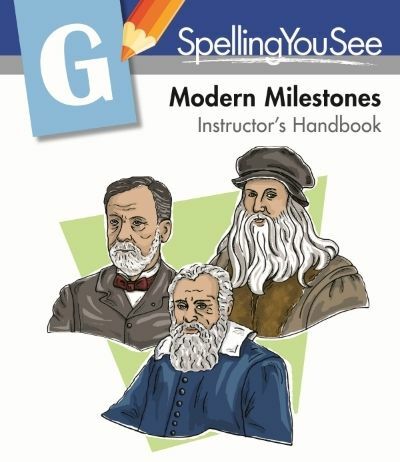 Modern Milestones is designed for a student who can spell most everyday words easily and is ready to delve into word extensions. Word extensions includes not only suffixes and prefixes but also patterns that are used to create alternate word forms. It flows along nicely, following the other levels of the Spelling You See family and the research from which Spelling You See comes. Modern Milestones will take the student to meet individuals who have influenced the modern era. There are artists, scientists, musicians, inventors, and more. 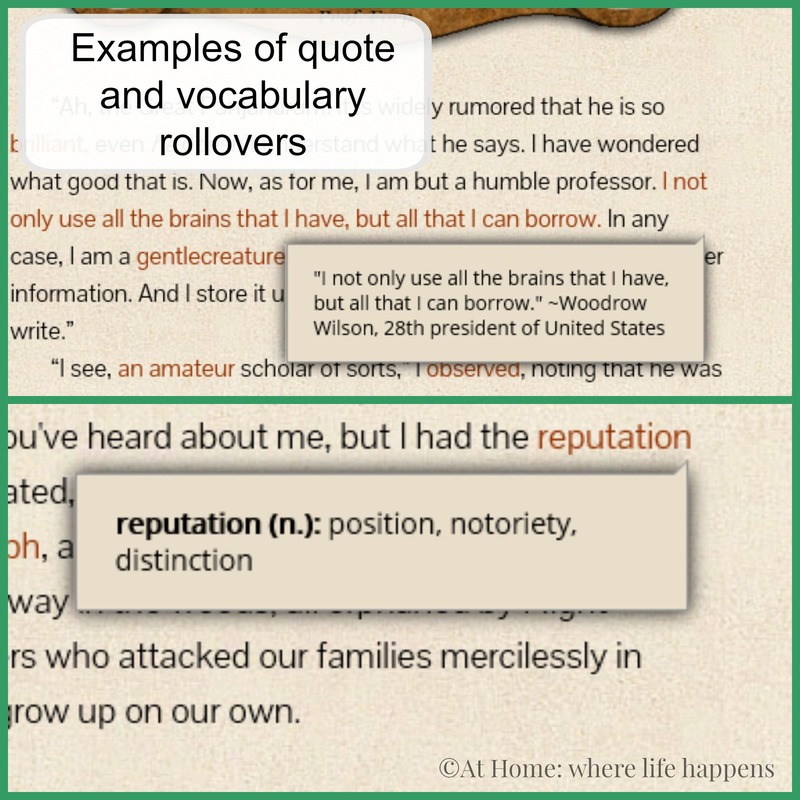 Each biography will expose the student to not only the person and their ideas but to word patterns and extensions. Each biography is a short paragraph. 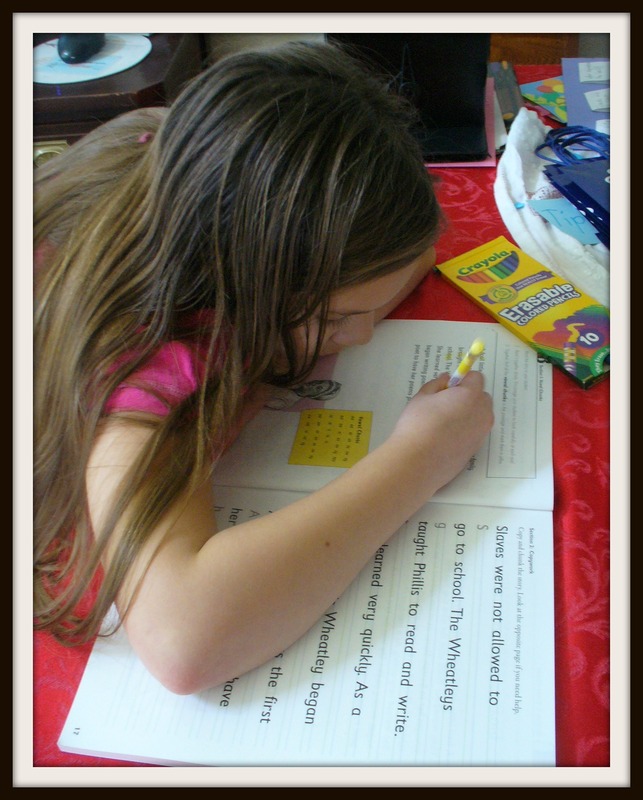 Working with the word extensions and patterns within a paragraph is a natural, comfortable way to learn spelling. This is a strong point for all of the Spelling You See levels. Each week the student will work through one lesson, which is broken into five parts (A-E). Typically, the first two days have the student finding and marking base words and their extensions. For example, in lesson 3, the student is looking for base words such as work, wash, brush, paint, and grace, among others. Then the student marks the endings -ing, -es, -ed, and more. The student also finds the prefix over- in this lesson. The student then copies the passage and marks it again. On day 3, the student works with the base words, exploring how to change them to add extensions. This also helps the student see and use the unusual changes that occur such as changing -f ending to -ves. The student also has to identify the subtle changes in meaning. On days 4 and 5, the student again identifies the base words and extensions. Instead of copying the passages, though, it is dictated to the student. This repetition is constant, continuous exposure to these words and ideas in a natural context. This helps the student to understand and remember the words and processes. We have used a previous level of Spelling You See and this follows it comfortably. One of our girls is currently using Spelling You See Level E. The growth of the student’s spelling ability is easy for us to see. We have liked the results we have seen with Spelling You See and the process of working with the words in context. The subtle changes Demme Learning has made for Modern Milestones has been a fun and pleasing change that keeps the student interested as the lessons move along. 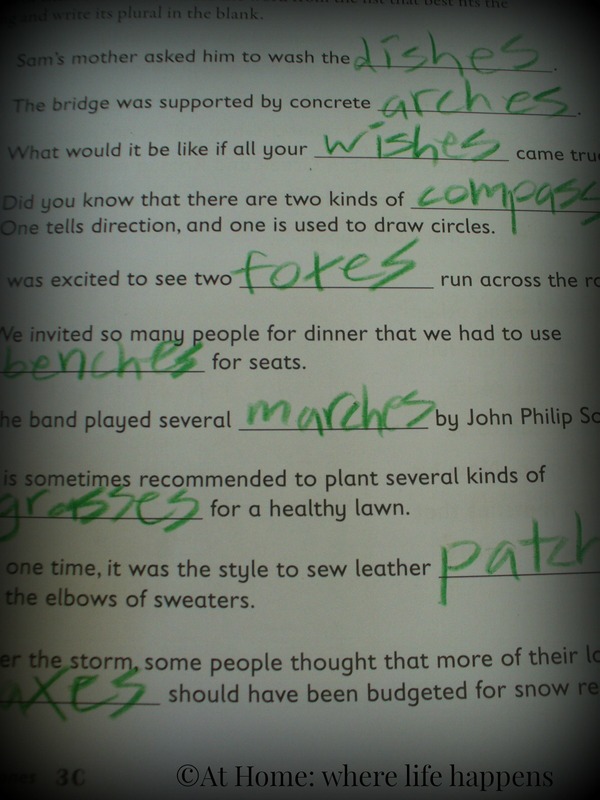 In order to effectively use Spelling You See, you will need to have the Student Books. There are two of them and they come in a set. You will also need the Instructor’s Handbook. The student will need a pencil and a set of colored pencils. Erasable colored pencils have been almost a necessary investment because we spend quite a bit of time erasing marks as we get used to the process. I know that spelling is a nemesis for most students. We have not had that problem and thus the spelling tests that we used to do were problematic for different reasons. It didn’t make sense to study a set of words that the girls already knew how to spell. Spelling You See is a program that fits with how we learn, as a family. To learn more about Spelling You See, the levels available, and the research behind this great program, please visit their website. Spelling You See is challenging the way the world teaches spelling and, WOW, is it a great change. 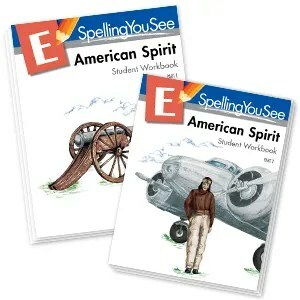 We were sent the Spelling You See: American Spirit (Level E), a new product by Demme Learning, to review and I am so pleased with what we have seen! Spelling You See is brand new on the market, though the big sister to the spelling program, Math-U-See, has been around for years and is very popular. The program is based on the five developmental stages of spelling: preliterate, phonetic, skill development, word extension, and derivational constancy. Just like learning to walk, the student has to move through these levels sequentially, each one building on the previous. While spelling and reading develop hand-in-hand for many students, that is not always the case and sometimes the students need to focus on the development of spelling competency. This is not the same as memorizing lists. It is developmental. Spelling You see addresses this in a fantastic way. To implement the program, you need the Student Workbooks, the Instructor’s Handbook, and colored pencils (included in the purchase of the Student Workbooks). A timer is helpful but optional. The Student Workbooks are $30. The Instructor’s Handbook is $14. To learn more about the program, you can visit their website and read the FAQs. Notice that there are no ages attached to this placement. That is intentional by the company because, as stated earlier, this is a developmental process that goes at different speeds for different children. None of their levels have age information, though some grade level information may be referenced. They understand that the parent or instructor knows best which level a student will need based on his or her individual abilities. 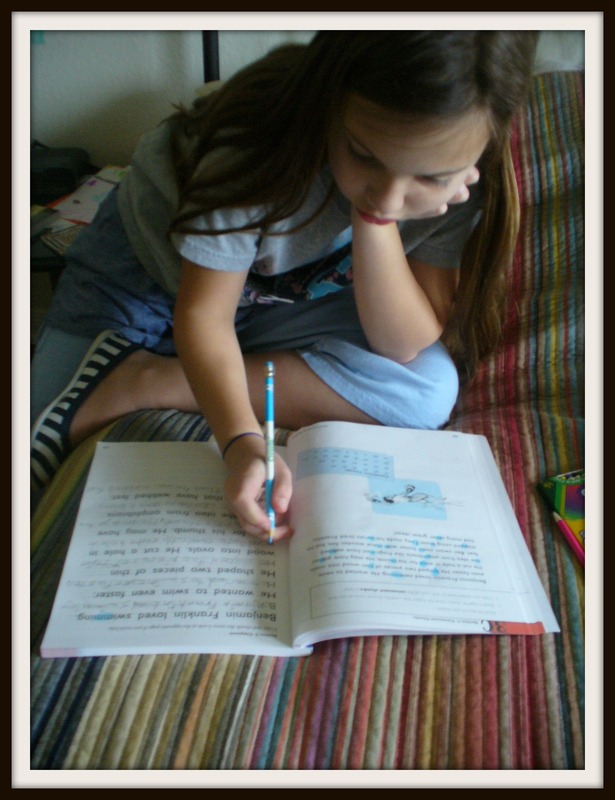 There are three activities that make up the daily work in Spelling You See – chunking, copywork, and dictation. Each lesson is broken into five parts to be done one a day for five days. 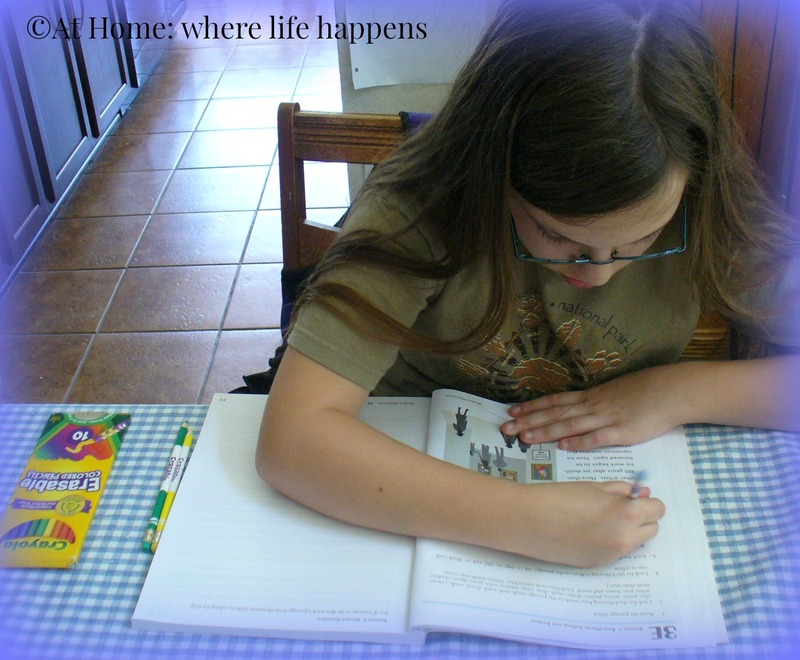 The student begins each lesson by reading a paragraph. In American Spirit, this paragraph is about people and events from American history. Then the student uses colored pencils (it comes packaged with colored pencils) or highlighters to chunk the story. What this means is the student is looking for particular letter patterns, many of which are irregular in English. They mark these in the paragraph that was read. Then, on days one through three, the student copies a portion of the paragraph and chunks the copywork. On days four and five, the instructor dictates the paragraph to the student, helping more on day four than on day five with things like capitalization, punctuations, and yes, even the spelling. On those days, the final activity for the student is to count the words spelled correctly. Spelling You See has some big things going for it, in my opinion. First of all, there is no memorization or tests. None of the stress of trying to learn something for a test, which seldom ends with a stronger memory of what you were memorizing. Second, this is designed to be low stress. If you don’t finish all five parts of the lesson in a week, no biggie! Just start a new lesson the next week. The student can ask for help if she wants it or needs it. If something doesn’t look right, the student can erase it and try again or just mark it out and try again next to it. Third, this takes less than 15 minutes a day. Part of the directions is to not spend more than 10 minutes on the copywork or dictation parts. Even if this is something the kiddo doesn’t love, it is over pretty quickly for them. Nothing. Surprise, I know. The only thing I would change is that the Instructor’s Handbook had an answer or two missing. Seriously – that is all. I have not gotten my giggly girls into a spelling program before this because none of them were what we wanted. This one is. A real life application in which to learn spelling using chunking and visual and muscle memory. Cheerful, bright, and exciting. E’s comment one day, just out of the blue, with great admiration in her voice was “You are learning to spell and write on this page (right hand page). You are practicing observing and getting a little history lesson on this page (left hand page).” She also said “I like the way that they do it.” That is high praise coming from that giggly girl. I think this one is a keeper! After having such great success with our oldest giggly girl using this program and seeing what it was all about, we realized that it was also a good fit for our middle giggly girl. We had access to a second copy of the same level, so we started her on American Spirit about 3 weeks after her older sister. It is also working very good for her. We are actually seeing a lot of change in her development since she is two years younger and her spelling was not quite as consistent as her sister’s. All around, it is a program we are pleased with. We will continue to use Spelling You See. At Home. Want to connect with Spelling You See? 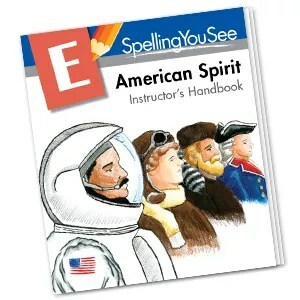 Visit their website at www.SpellingYouSee.com. Follow them on Facebook https://www.facebook.com/SpellingYouSee or follow them on Twitter https://twitter.com/spellingyousee. Interesting in reading more about one of the other levels of Spelling You See or in reading a different opinion? 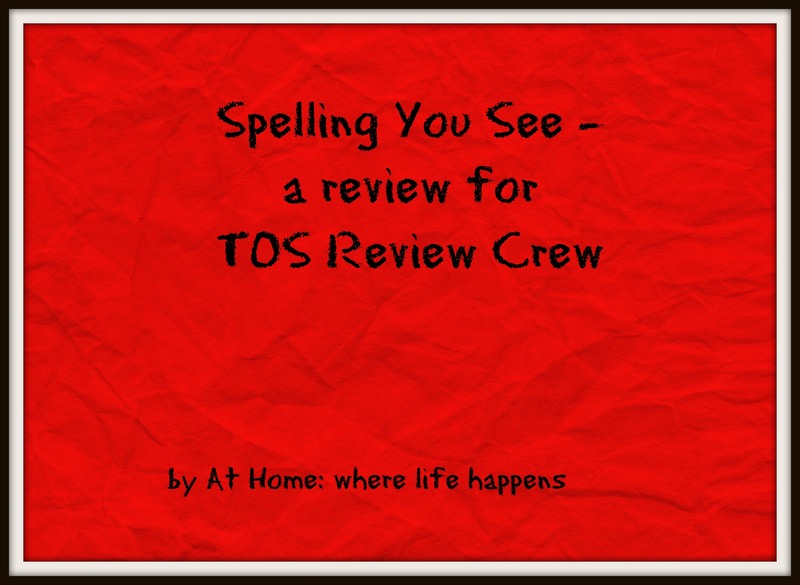 Click on the Review Crew banner and use the button at the bottom of the post about Spelling You See to find almost 100 other reviewers to choose from.